The firm’s bankruptcy and restructuring team recently filed a lawsuit in the United States Court of Federal Claims seeking the return of unconstitutionally exacted fees of approximately $155 million, paid by an estimated 600-1,000 Chapter 11 debtors. The case challenges the government’s failure to apply a Chapter 11 fee hike uniformly across the country, with debtors in North Carolina and Alabama required to pay significantly less than similarly-situated debtors in other states for most of 2018. The case also challenges the retroactive application of the fee hike, which was applied to putative class members who filed for bankruptcy before the increase was enacted. Notably, when the fee increase was finally imposed on debtors in North Carolina and Alabama, the increase was not applied retroactively, but only to new cases in those two states. The lawsuit has received national attention. “Why should you have to pay more to avail yourself of a legal remedy just because of where you live and for no other reason?” attorney Bradley L. Drell, who leads the firm’s bankruptcy team, said in a recent interview with Bloomberg News, available here. Gold Weems attorneys Heather M. Mathews, Lauren LaRavia, and Chelsea M. Tanner join Mr. Drell in the representation. The case, captioned “Acadiana Management Group, LLC, et al. v. United States of America,” Case No. 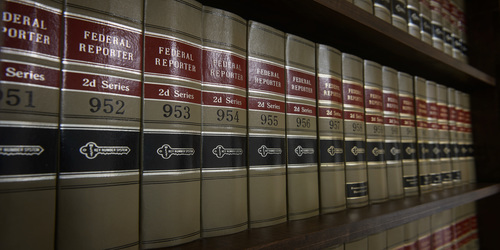 19-496, before the United States Court of Federal Claims in Washington, D.C., reflects the continued expansion of the team’s practice.